Fresh whole foods juices are another form of raw foods that concentrates nutrients. Fresh juices are a key “power food” for healing, weight loss and management, and supplementing a less than optimal diet. 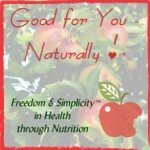 They are an important part of a Good for You-Naturally!™ lifestyle of eating. I (and my Doctor) believe that 2 glasses of fresh juice–primarily vegetable–are the best quality, most cost effective, and most beneficial vitamin/mineral supplements anyone can take, as it goes way beyond vitamins and minerals to phytonutrients and enzymes. Juicing, like sprouting, is a change that takes time to become a consistent part of your lifestyle, but is very worth it for the health benefits it brings! It only takes a few minutes a day. There are several different types of juice extractors; the quality of juice depends on the type of juicer. The highest quality juice comes from a masticating juicer with hydraulic press. (They are large and heavy and cost about $2500 so are not usually an option for home use). If the Green Star is a bit over your budget, and/or you don’t need the convenience of juicing ahead a day or so, the next best quality from a home juicer comes from a masticating juicer, at nearly half the price. It retains the next most nutrients and enzymes. and will do the above “greens” although less efficiently. I think it is the best choice for most people. The Champion is the masticating juicer, and very heavy duty. It (and the Green Star) will also make nut butters, purees and baby foods, and frozen desserts. This juicer will do what you need it to do and will do it efficiently. The Champion is powerful, durable, and easy to use and clean. It has been the home juicer for those wanting the full health benefits of fresh juice since 1955. It does better on fruit than the twin-gear juicers, but not as well on the greens. But there is now a Greens attachment for the Champion. (I haven’t tried it yet.) The Champion does produce a bit pulpier juice than the Green Star. The Champion is also easier to clean than the Green Star. We use and highly recommend the Commercial (Heavy Duty) Champion. It’s what we have used for over 18 years and we LOVE IT and its versatility! Centrifugal juicers are probably the best known juicers. They chop and spin the food at high speeds to extract the juice. 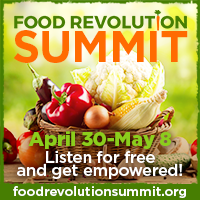 This causes more loss of nutrients and enzymes, more oxidation, and less juice/more waste from your produce. Some eject the leftover pulp into a separate container; others retain the pulp in the spinner basket. The latter gives more juice for your money, but still not as much as our recommended juicers. We don’t recommend centrifugal juicers. Juicing is a super addition to your family’s diet and a quality home juicer is will be worth it. F.Y.I. “Vita-mix” is not a juice extractor; it is a high powered blender. A great machine but not a juicer–it liquifies food, not juices it. 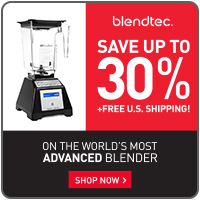 See our recommended high performance blender here. New to juicing? Order our Drinking Your Vitamins! Freedom & Simplicity™ Guide to Juicing This e-guide to fresh juices includes a look at nutritional supplements, the basics of juicing, a juicer buying guide, and raw juice powders and book recommendations.